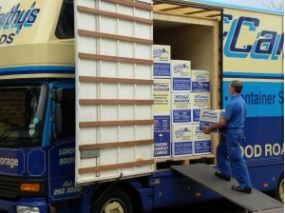 We offer two different types of storage but our container storage is the best way to store if you don’t need regular access to your goods in the process of moving house. 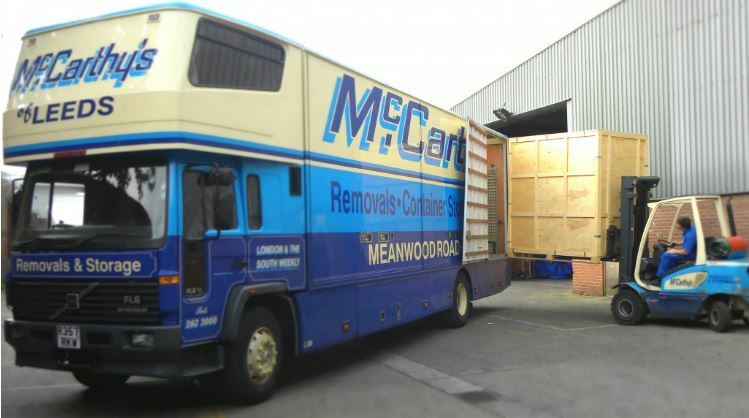 Our storage for home removals is great if you want our skilled removal crews to pack and move your effects in to store rather than doing it yourself. Sometimes you may need to store some or all of your furniture during the moving process for either the short or long term. I f this turns out to be the case, don’t worry;we can help you make sure that your home and belongings are in safe hands. Here at McCarthy’s Leeds, Harrogate and Wakefield we have over 150,000sqft of storage space which is protected by CCTV 24 hours a day. When we arrive at your home, each container will be packed and sealed in your presence. A detailed inventory is taken by the crew and a copy of this is left with you. After the containers have been sealed the removal team will return to the store where the containers are unloaded gently using a fork lift truck until you’re ready for them! If you think you may need regular access to your goods then please visit our Self Storage section to decide what’s best for you. If you’re not sure, give us a call!